OUR MISSION STATEMENT: Equipe Mestre Wilson Jiu-Jitsu Australia focuses on providing its members with the highest possible standard and the most up to date international level in Brazilian Jiu-Jitsu Techniques. 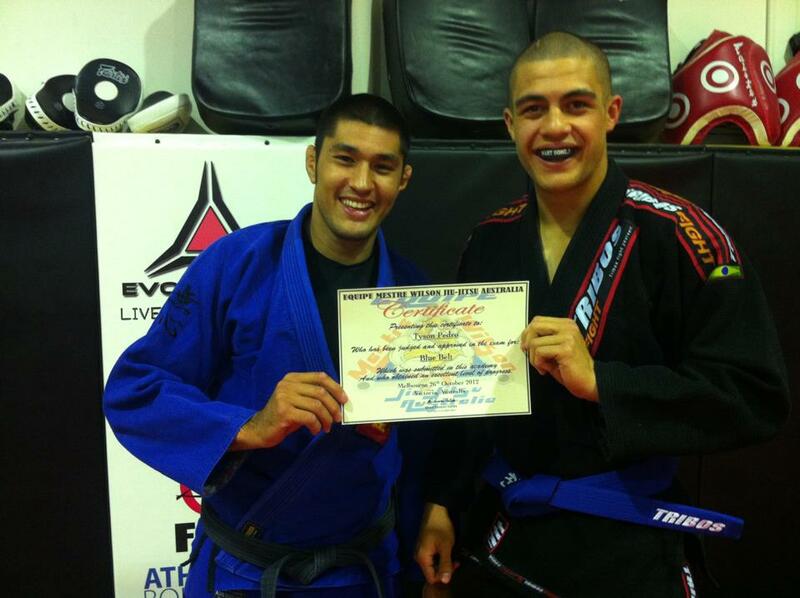 Whilst on this journey we will educate our students to be the best they can be both on and off the mat. With this in mind, making them the best individual they can be. Congratulations to Tyson who received his blue belt at Evolve MMA. Gladiators Cage Fighting on the 9th November. Lets wish him good luck! *Want to enquiry about club affiliation?